The weather today is 90 degrees Fahrenheit in Panama City, Florida which feels like 103 F. I setup Field Day style my front yard. I used the Icom 7100 at 90 watts on SSB and 40 watts on CW. My go box has a healthy 40 ah battery. 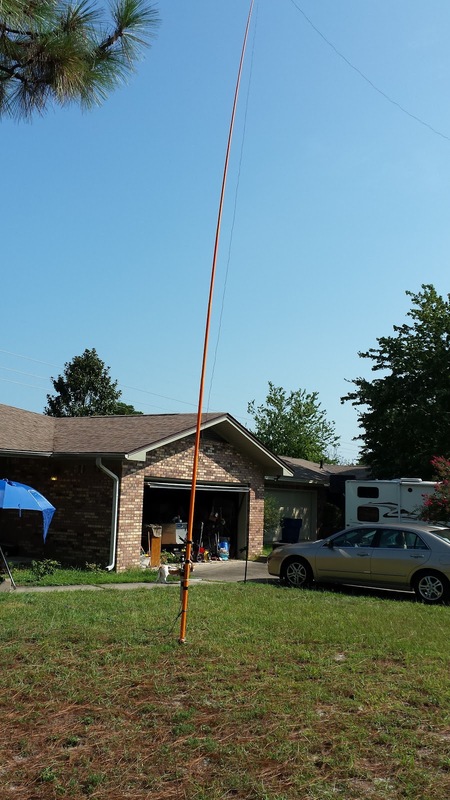 The antenna was the Chameleon Hybrid Micro 5 to 1 transformer with the 60 foot wire setup as an inverted L using two 30 foot Jackite poles. The first hour was on 40 meters. My first contact was Jim K4LIX from nearby Callaway Florida. Second was a RaDAR operator Don KK4QAM in Sweetwater Alabama. Nice to do RaDAR to RaDAR with Don. 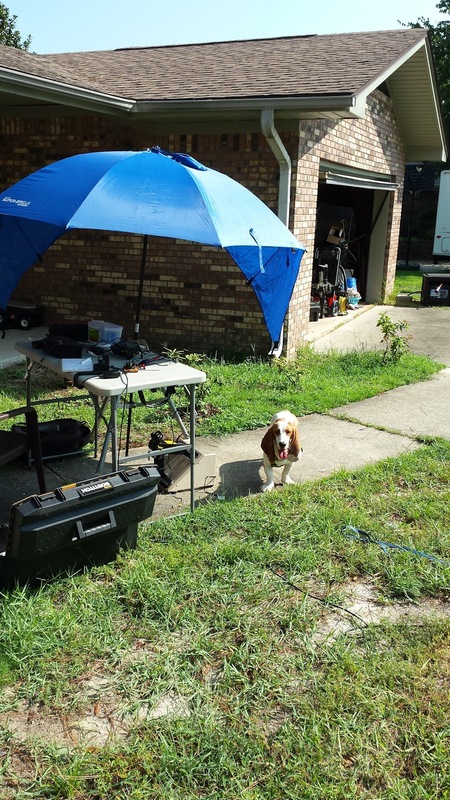 Then was W5TVW Sandy in Hammond Louisiana. He had a great signal with an Icom 703. We chatted for quite a while. Don does portable operating so we have a lot in common. 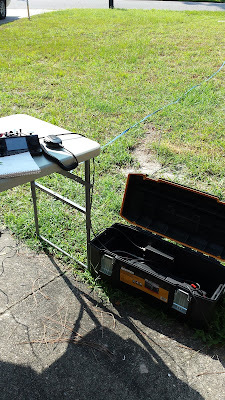 I did a QSY to 40 CW and worked W5TVW again. We exchanged SKCC numbers. The second hour was 17 meters. I started on 18.157.5 and worked N4ANF Gary in Colorado. Then I had a string of locals calling. They included Ron KM4ELJ, Bob WB4BLX, Jaque KK4LUW and Jim K4LIX again. It is nice to get participation from our local club members. Then I picked up Dan WB5OER in Galena, Texas. The last SSB call was Marv operation W4RYZ the Panama City Club station. QSY to CW and I worked Jim NM1W and exchanged SKCC number. 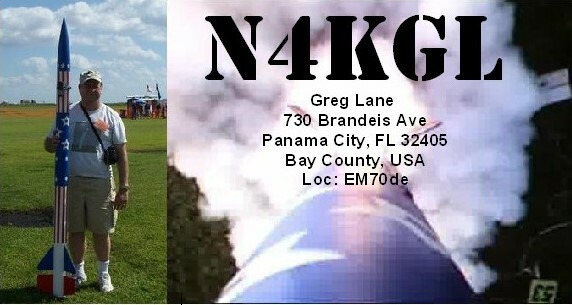 Next was K4LIX again and the last station was K4ISW Lee in Virginia. So I can't complain. I don't think many wanted to bear the heat. I had some shade that helped. I believe I will take this antenna arrangement to the State Park for Flight of the Bumblebees on Sunday. Suzy was out there with me and Bob WB4BLX came by on his bike for a eyeball QSO.